1, Ask: Can I join the Aupair program after finishing college ? Answer: The Aupair laws of each country have the different age regulation. Currently the center is deploying services in the following countries: Germany, France, Austria, USA. The requirement that Aupair must be between 18 and 27 ages for the Aupair program in Germany and Austria, 18 to 30 for the Aupair program in France and 18 to 26 for the Aupair program in USA. So, after you graduated from college, if you are still in that age you can still join the Aupair. 2, Ask: What are the requirements for joining the Aupair program ? Between the ages of 18-27. Good basic German (A1 or higher). Not married and do not have children. Be able to work and look after children for 30 hours/ week + 2 nights/week. Be able to stay at Germany, Austria from 6 months to 1 year . Be open and flexible in experiencing new lifestyles and cultures. Between the ages of 18-30. Have good knowledge of French (requires TCF certificate of 250 or higher; or DELF certificate of A2 or higher). Not married and have no children. Can work and look after kid 30 hours / week (5 hours / day, Wed may be a little more because Wednesday is a school holidays in France). Possibly in France for at least 1 year. Clean background, no criminal record. Always open and flexible in accepting new lifestyles and cultures. Between the ages of 18-26. Good English communication (no language certificate required, you must pass at least 2 rounds of English interview at Global to be able to participate in the program). May be in the US for at least 1 year. 3, Ask: What benefits does Aupair enjoy ? Answer: Joining aupair has many benefits such as staying with indigenous family, free accommodation, attending the language courses, and per month receiving the pocket money about 260 Euros in Germany, and 260-220 Euros in France. , 376-470 euros in Austria and $ 800 in the United States. There are still have a number of other benefits and advantages that you can refer more in here for the Aupair program in Germany, at the following link for the Aupair program in France, here for the Aupair program in Austria and here for the Aupair program in America. In addition, when you apply for the Aupair program at the Vietnam Aupair Global center in this time can receive a reasonable consultation fees (only 20-28 million). To know more about Aupair benefits when joining the program through the Global Vietnam Aupair Center, can be found here. 4, Ask: What is the total cost of the Aupair program through the Global Vietnam Aupair center ? – Consultant fee: 20 million VND. – VAirfare: 10-15 million VND (one way). – Visa application fee: 99 Euro (about VND 2.821.000)(paid directly to the embassy). – French certificate examination fee: 500.000 VND – 2.500.000 VND (paid directly to the French Cultural Center where you register). – One way ticket: 10-15 million. Do not add any surcharge. – Consultancy fee: 25 million dong. – Airfare: 10-15 million dong. The cost of the Aupair in America, because the Aupair in USA process has a bit different (especially: free round-trip airfare when joining the Aupair in America), so you can check out all details about the Aupair program in USA at the following link. 5, Ask: What is the fee for consulting services ? Answer: The counseling service fee is the entire fee for the center to receive your records, searching the best suitable host family with the best treatment, practice the interviewing at the embassy, completing the procedure to apply for a visa and make sure to change the family when having trouble with the host family. 6, Ask: Can boys join aupair ? Answer: Of course male can also join, but the opportunity to find a host family will be harder and longer than the female, because the housework essentially from the past till now have still considered a work of female. So male joins the aupair will be able to do some repairs for belongings in the host family and other typisch of man’s works. Fluency in German (at least at A2 level), fluent in any foreign language is a big advantage. Love children and have more experience with children. Have a driver’s license in Vietnam as well as an international driver’s license. (If you really want to create the opportunities for yourself, you should register and test the license to be eligible to participate in the program). 7, Ask: Does the center have an office in Saigon now ? 8, Ask: Joining the Aupair, should need a child care certificate ? Answer: On paperwork, each country has different regulations. However, some countries will requirements and some are not. But Global will guide you to have these certificates free when you join the program at Global. 9, Ask: How are the procedures, records to apply for the Aupair through the Global Vietnam Aupair center ? During the process of making records at the center, if you have any questions about the aupair laws, benifits, having problems with the host family during your stay abroad, you can email the center through the address. 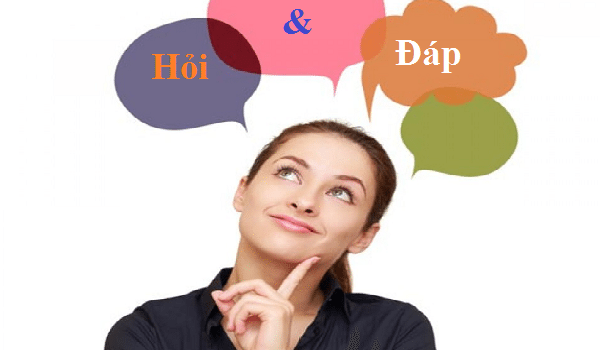 globalvietnamaupair@gmail.com or chat directly on facebook through page: http://www.facebook.com/pages/globalvietnamaupair, you will always receive the most sincere and quick advice and answers. 10, Ask: Looking for a host family in Germany, France is the center find or I find by myself ? Answer: At present, the center has deployed 2 packages of Aupair (Full-Service and Semi-Service). The main difference between the two packages is that you can find the host family by yourself or the center will introduce the host family for you (with a double cost gap between each package). You can find out more about 2 packages here. 11, Ask: If I have a problem with my host family in Germany and do not want to work at that family anymore, how should I do ? Answer: Hi, in some cases having difficulties with the host family due to many issues (mainly due to cultural differences), you should try to learn to adapt with the host family, is speaking directly and frankly with each other to provide the best solution for both parties. Germans often listen and accept the opinions of others, and they also ask others will listen and accept their opinions. So make a frank talking to be able to listen and understand each other. In case both of parties can not get along well, you should ask the Aupair center, the center that introduced you to go in the past, to find a new host family for you. Wish you good luck and soon to integration with the host family. 12, Ask: Has anyone participated in the Aupair program at the center yet ? Can you give me the information of them to learn experience ?